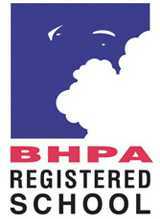 The British Hang Gliding and Paragliding Association. Our governing body. The Southern Hang Gliding Club. The local flying club for hang gliders and paragliders. The Civil Aviation Authority The governing body of non-military aviation in the UK. The FAI World air sports federation. Flyability. Help getting disabled people in the air. Many things are possible with persistance and cunning. BBC weather. General easy to understand weather. Meteoblue Glynde. Weather to paraglide near Glynde? - Excelllent detail on the "special > air" forecast. Expert weather online (isotachs) Useful and accurate wind speed prediction. Met Office The UK weather gods. Met office charts Met office synoptic charts for the coming week. NOAA Official weather from American met office. Metcheck Weather for UK airfields. Windguru Intended for sailors, useful wind predictions. Regional Atmospheric Soaring Predictions (RASP) All the forecast data the soaring pilot could want. Met office aviation forecasts Useful official detail about our kind of weather, especially the balooning forecasts. XC weather Live reports from UK airfields, well presented. Wendy Windblows Live from hill tops and beaches. Useful phone service available. BBC cloud and rain Observed and predicted. BBC Southern Counties cloud and rain Observed and predicted. Met office infra red Latest IR picture, indicated temperature (height) of clouds. Weather online Polar High resolution polar image. We use and recommend their equipment. 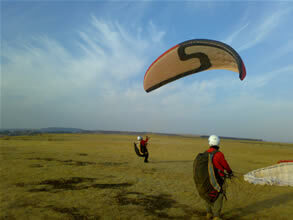 Windtech paragliders Make a very nice tandem. Sup air Our choice of tandem harnesses, parachutes, flying suits and other bits. Icaro Quality, cutting edge flying helmets. Flytec Very good flight instruments. Garmin The big player in GPS receivers. Google UK Search engine, UK version. Bing Maps Are you lost? OS maps here online. AA route planner Handy on line road atlas. Google Earth Fantastic mapping and visualisation software. South Downs hang gliding Learn to hang glide with our good friend John. Severn & Wye Cycle Works Guided Rides, tuition and cyclesmith. A top class mountain biker with huge local knowledge. insurance cover, whether you are taking a single trip, multi trip or gap year holiday."